It's the second night of his incredible live performances at Fox Theater Oakland – that’s right, on the Saturday 22nd December 2018, John Legend is back for a second night of pure gold entertainment – the chart topping soulful worldwide star will be gracing the stage bringing the best selection of his beautiful, groundbreaking songs that we all know and love. Book your tickets today! Oakland gives a warm welcome to John Legend for their live show on Saturday 22nd December 2018! Known for his countless hits, John Legend has proven that he has what it takes to create the perfect song time and time again. The American singer, songwriter and actor first came onto the music scene in the early 2000's with his debut "Get Lifted." The album put him on the map and showcased his talent and his unique sound was recieved well all around the globe. As one of the only piano based songwriters on the scene at the time, Legend has crafted himself a top spot in the mainstream and has stayed there throughout the years. Some of his biggest songs to date include; All of Me, Save Room, Used to Love You and many more, lets not forget the one that first exploaded him into the limelight – Ordinary People, which became one of the most unforgettable love songs of all time. 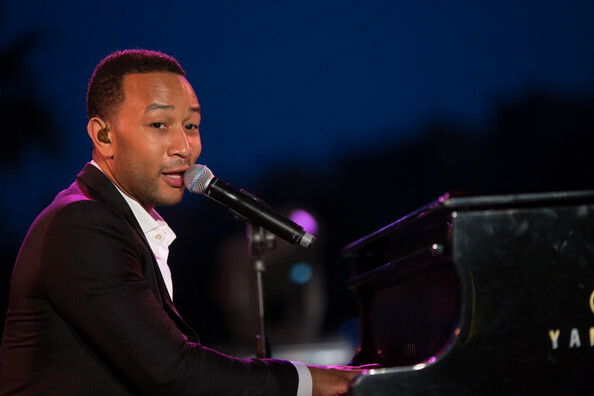 As well as his solo career, John Legend has worked along side some of the greatest names, all within a similar genre to his own, fellow artists such as; Alicia Keys, Jay Z, Kanye West, Al Green, Snoop Dogg, Lil Wayne, Joss Stone… the list goes on! Fittingly so, Legend has been awarded numerous times for his impeccible songwriting work and features within film scores. He has recieved some of the top awards in the world such as; ten Grammy Awards, Tony Award, Academy Award, an Emmy, Oscar and a Golden Globe just to name a few.